You are not prepared. I also am not prepared. 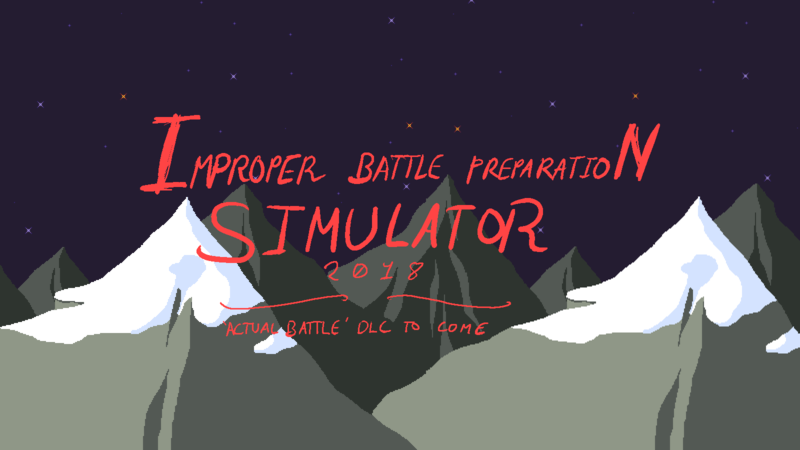 Improper Battle Preparation Simulator 2018 is nominally a game about being unprepared for a battle that I the developer did not prepare, and so there's nought but a faulty grappling hook and some platforming challenges. That is to say, it is a platforming game in which you have something which can very very loosely be called a "grappling hook". You can play it here. No there's no DLC that's a joke.